Here i will share with you how to transfer Internet Data from Reliance to Reliance. It’s available for postpaid customers and wire-free tariff. If you are a prepaid customer then you can not transfer internet data to others. Its not allow for prepaid customers. Even you cannot transfer to other network operators. You can only share reliance to reliance. But before transfer to anyone you should follow few terms and conditions. It’s available for multiple users. You can share data to more then one person. Even you will get some extra benefits such as like voice, data, free call and SMS. It’s best way to share your internet data. Here i will give you full information about Reliance all share plan and wire free internet sharing process. Reliance Introduced new Plan it’s called “All Share Plan “. 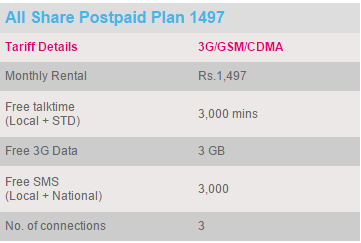 It’s available only for postpaid customers. So prepaid customers is not allow to use this offer. You can share up to nine members in your circle. You can share not only data but also voice, SMS, free calls also. It’s available on 3G+GSM+CDMA. If you want to get this offer then you need to select your circle and technology. It’s available for three different mobile numbers. You may share with multiple devices also such as like smartphones and tablet. By adding extra members, you will get extra benefits per member. 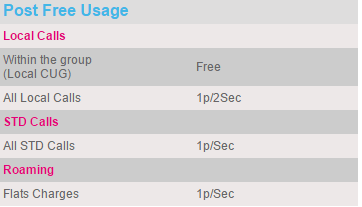 The additional benefits like 1000 mins/1 GB/ 1000 SMS/post free usage. If you are using wire-free internet plan then you can transfer your internet data. But it’s little bit expensive compare to other network operators. But before you transfer to anyone, you need to pay some advance money. It’s near about Rs 5000/. It will adjustable in future usage. There are three plans available. You may select any one plan according to your budget. It will take Rs 500 for installation charges and extra service charge also. Just try it out. It’s working or not. I think now you get some idea about how to transfer internet data from reliance to reliance. Without any tension, now you can chat with your friends and family members. So do not waste time, just start sharing your internet data by today on wards.